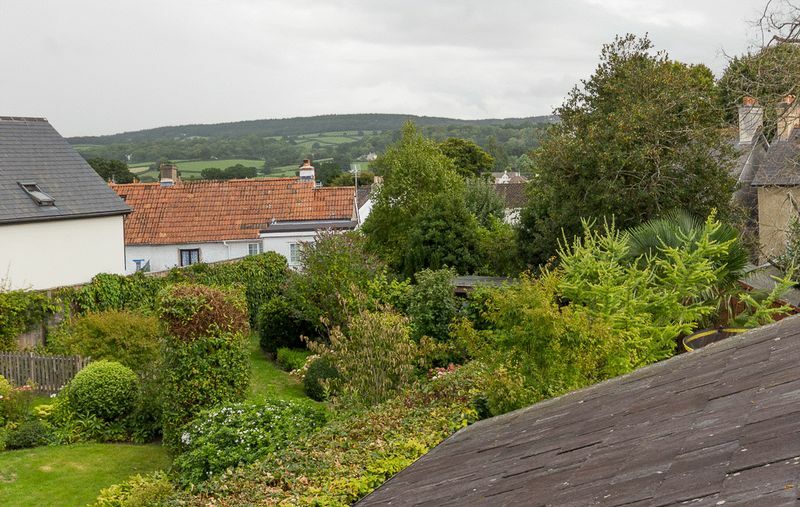 A wonderfully presented, detached, family home occupying an enviable tucked away position, in close proximity to the town centre of Chudleigh and all its amenities. 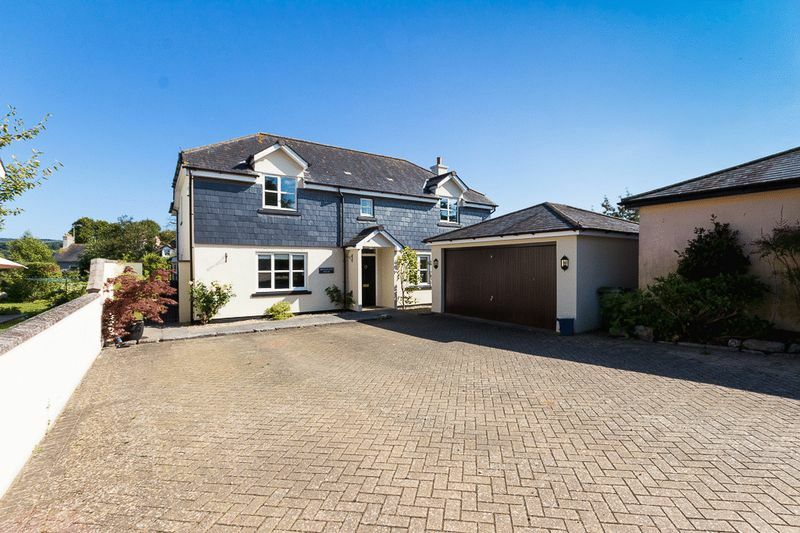 A well designed naturally light property which is one of two individually built luxury homes, providing a generously large plot with an exceptional rear garden, large versatile living space, 4 double bedrooms 2 of which have en-suites, ample parking for all the family and a detached double garage. Viewing is highly recommended to really appreciate all that this expansive property has to offer. You enter the property through a slate covered storm porch which gives access in to a warm and welcoming entrance hallway. The hall benefits from spotlights in the ceiling, a modern tiled floor and a lovely wide oak and steel staircase to the right rising to the first floor. 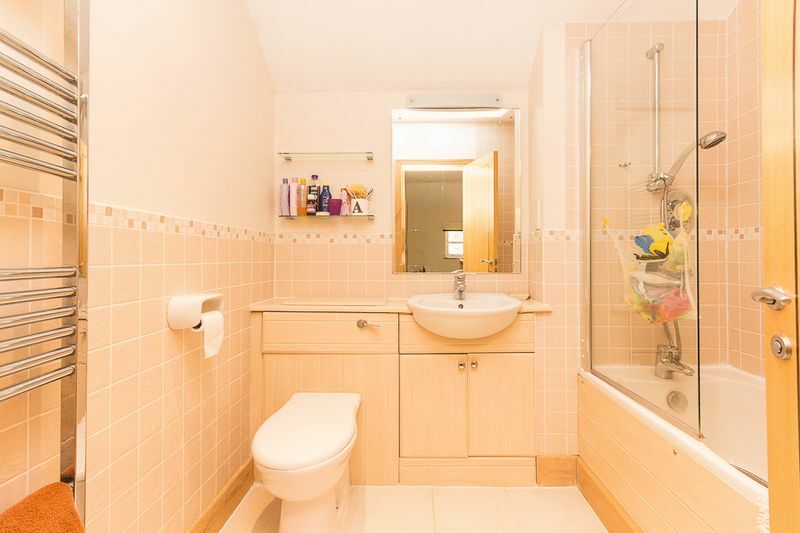 There is a downstairs WC located off the hallway and an under-stair cupboard perfect for coats and boots. 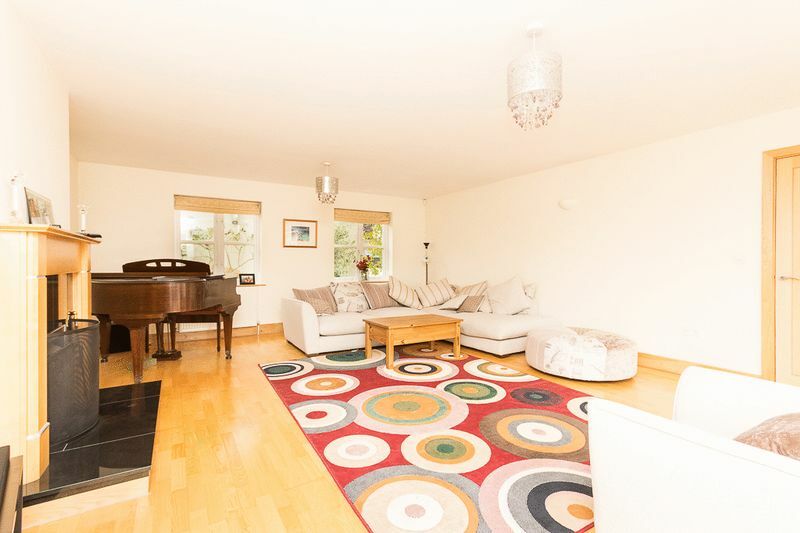 The large, dual aspect sitting room is an attractive space fitted with wooden flooring and benefits from two sets of French doors, opening onto the property's rear patio plus two windows to the front allowing for plenty of natural, free flowing light and views over the mature rear garden. There is an open fire with a granite hearth and matching surround which gives the room a real focal point and a real bonus for a modern home! 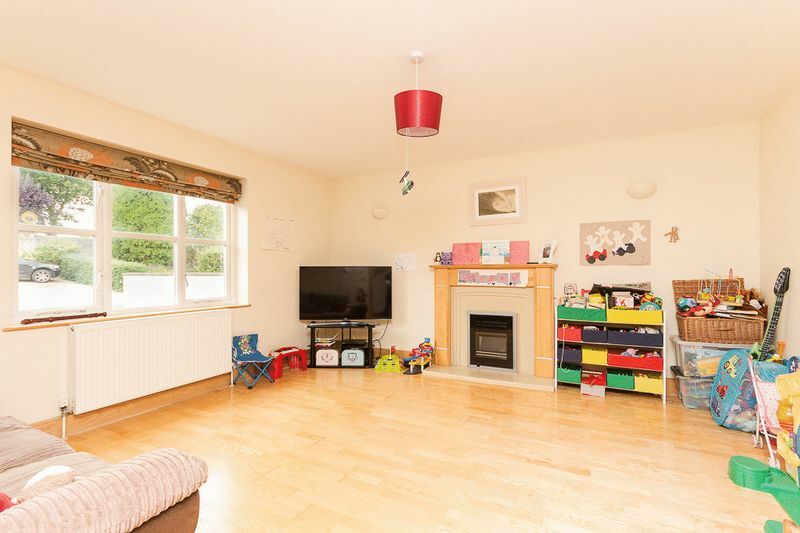 The separate dining room (currently used as a playroom/TV room) is another well sized room benefiting from the same wooden flooring as the sitting room. There is feature electric fire with granite hearth and surround creating a great homely spot to enjoy a family meal. 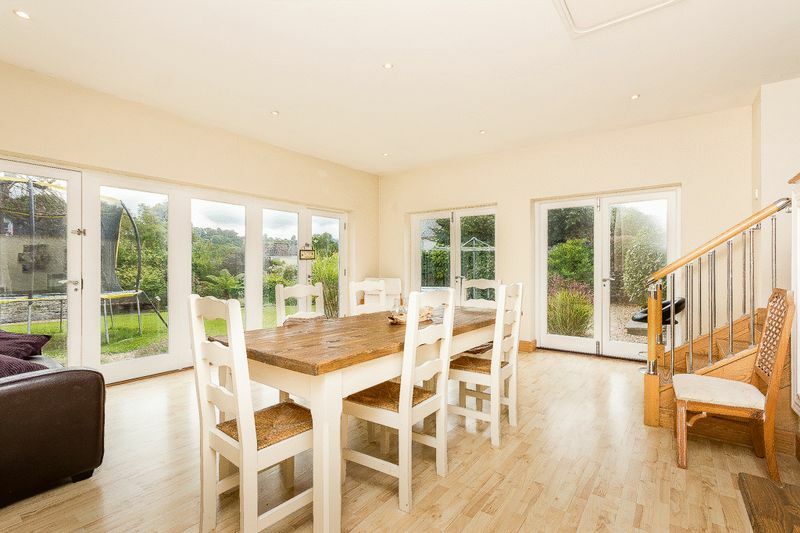 The kitchen is again an excellent size with a partial open plan aspect to the large family room creating a very impressive space! There is a range of wall and base units fitted with black granite worktops, a wine rack and ample storage space. 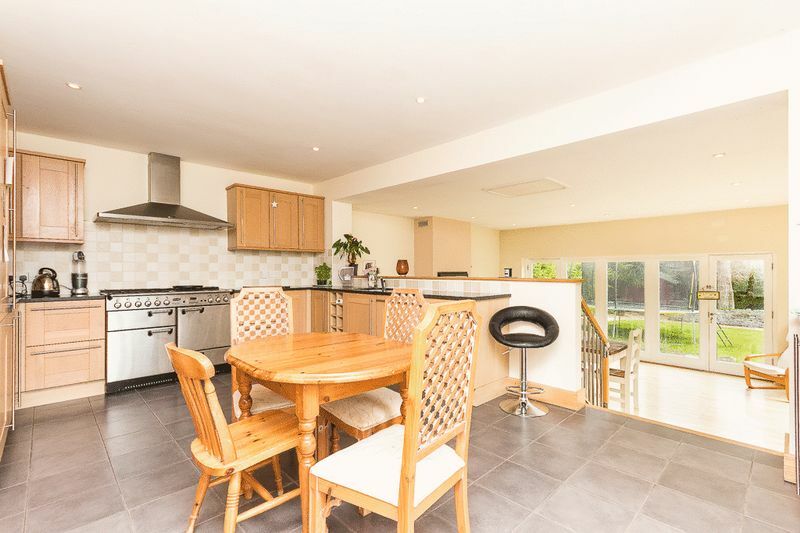 There is a range style cooker with large extractor hood over, a sink with drainer and mixer tap, tiled splash backs and an integrated fridge freezer. A doorway leads into the utility room, which benefits from the same granite work surface, a sink with drainer and mixer tap and space and plumbing for under counter appliances. There is potential to create a kitchen island due to the space on offer or space for a breakfast table. A door leads to the side elevation of the property onto the patio. 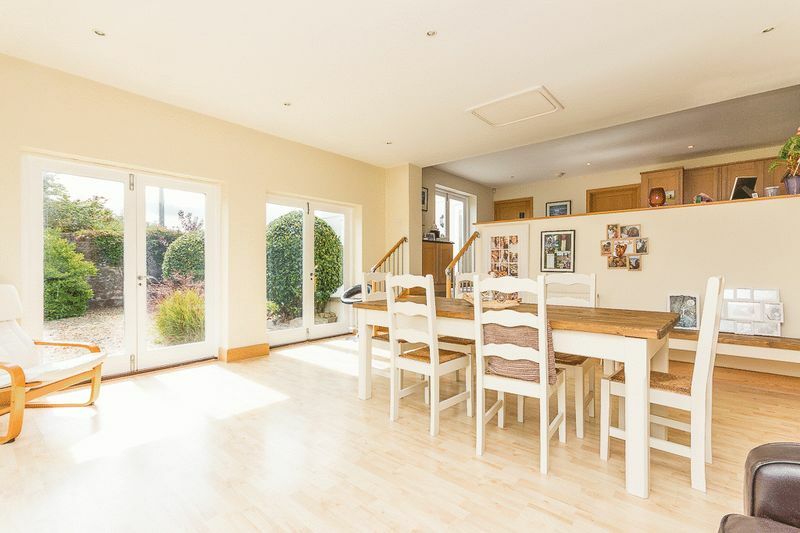 From the kitchen, steps lead down into a fantastic dual aspect family room which boasts fabulous views onto the garden and enjoys high ceilings with spotlights and french doors opening onto the garden creating a pleasant and light family/dining/garden room. 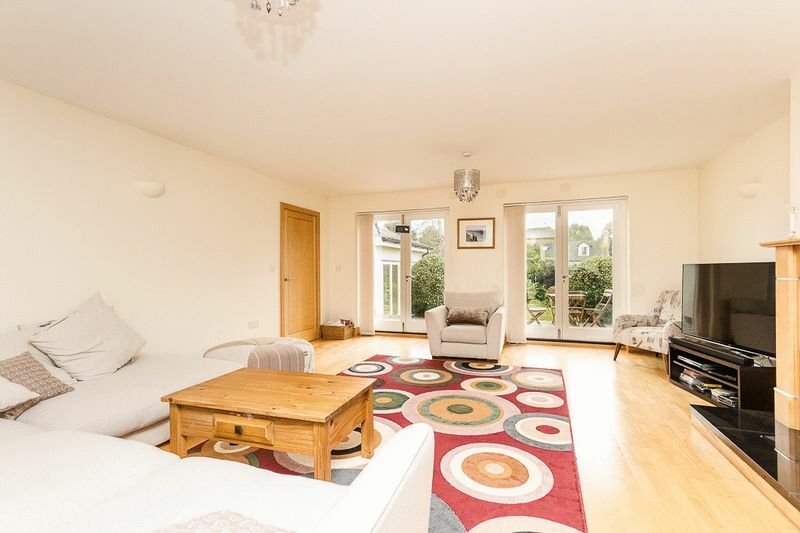 Should this room be used as formal dining then the reception room to the front of the property could always become a snug. Rising the stairs to the first-floor landing which gives access to all 4 double bedrooms, an airing cupboard and the family bathroom. 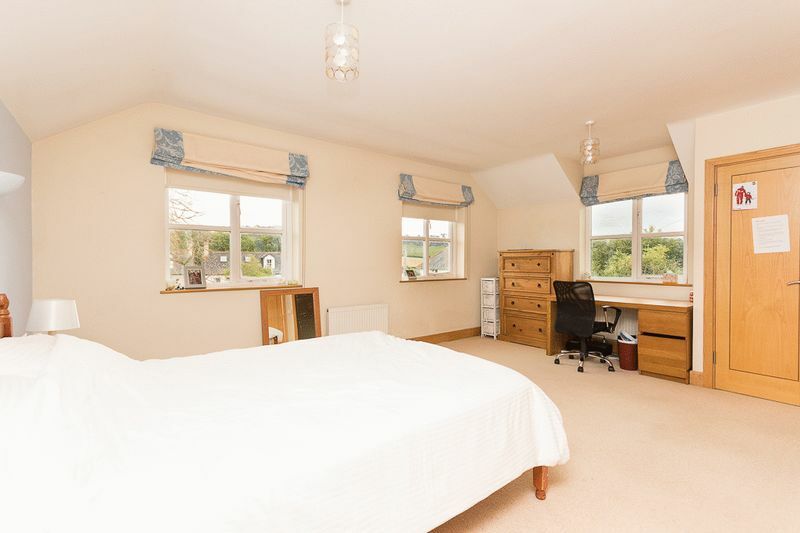 The expansive master bedroom is located towards the rear of the property with windows on two aspects giving lovely views over the property's rear garden as well as far-reaching views of the local Chudleigh countryside. 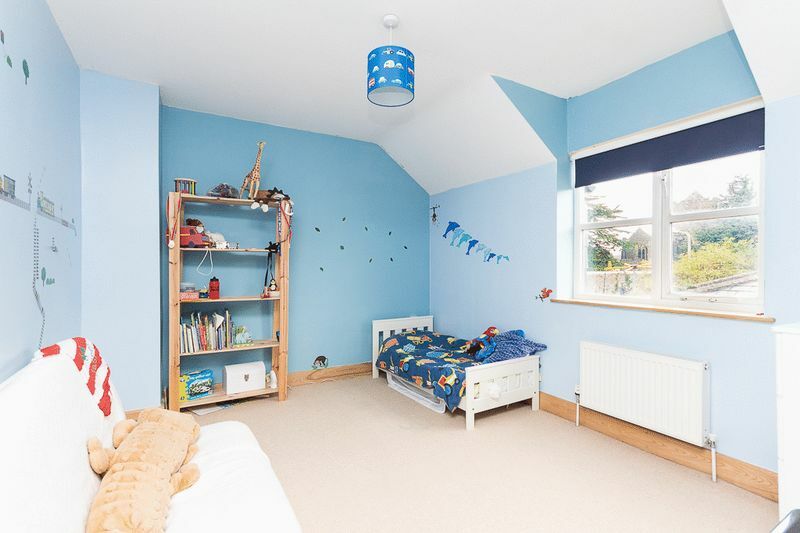 The room also benefits from two built in double wardrobes and an en-suite shower room comprising a shower enclosure, WC and a vanity unit fitted with a wash basin. 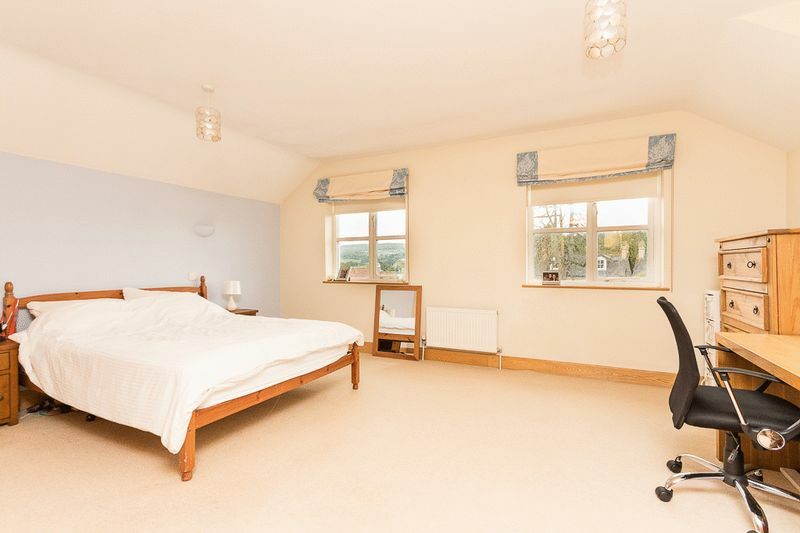 Bedroom 2 is another good-sized double bedroom which is located towards the front of the property with views over the approach. 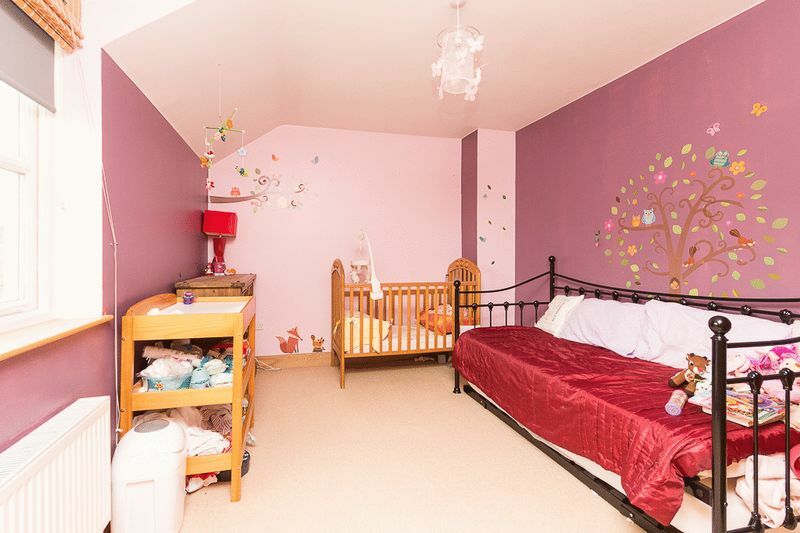 This room also benefits from an en-suite shower room and two built in double wardrobes. 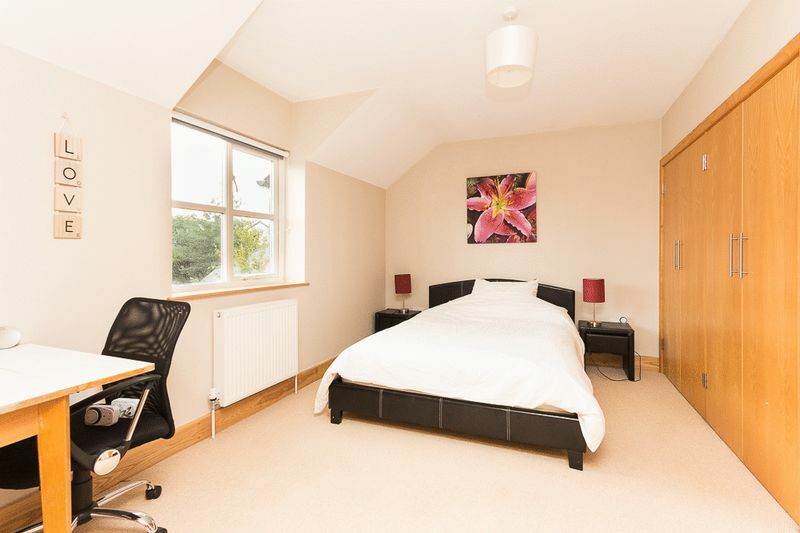 Bedroom 3 is another double room offering views over the property's rear garden and a built in double wardrobe. Bedroom 4 being another double located towards the front aspect. The family bathroom completes the first floor and enjoyed tiled flooring, partly tiled walls and comprises a 3-piece white sweet consisting of a panel bath with glass shower screen and mains shower over and a vanity unit fitted with storage, a wash basin and WC. 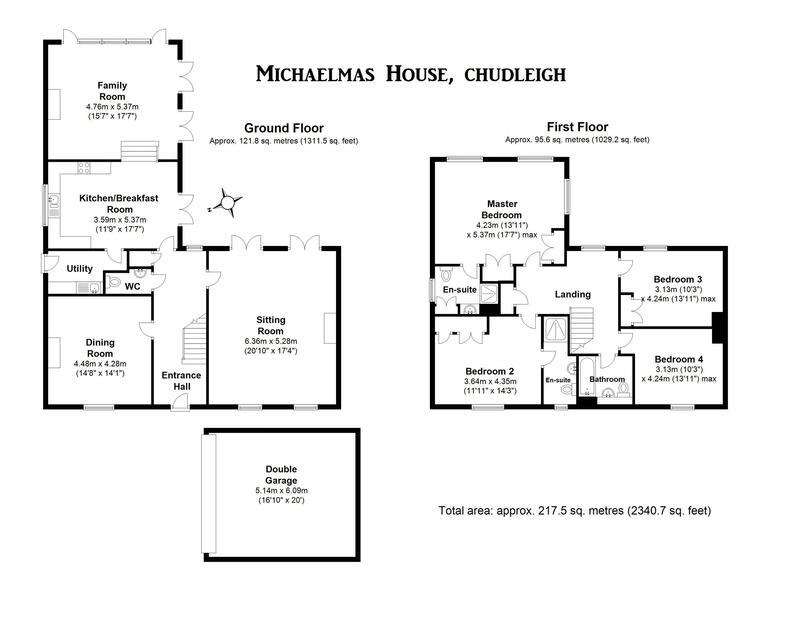 The attractive Michaelmas House can be found in a tucked away location accessed off Fore Street. 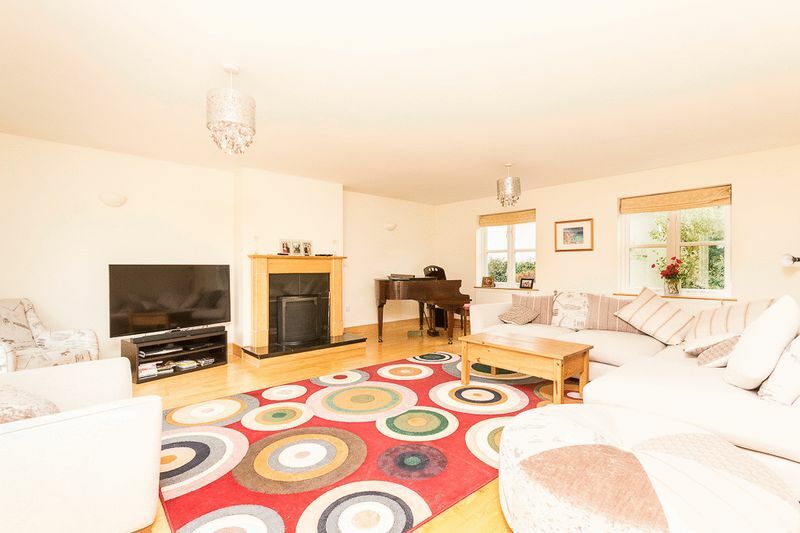 There is a block paved driveway to the front of the property providing ample parking spaces for all the family leading to a double garage with up and over door, fitted with exterior lights. A wrought iron gate gives access to the side and rear of the property via a pleasant pathway decorated with stone chippings. 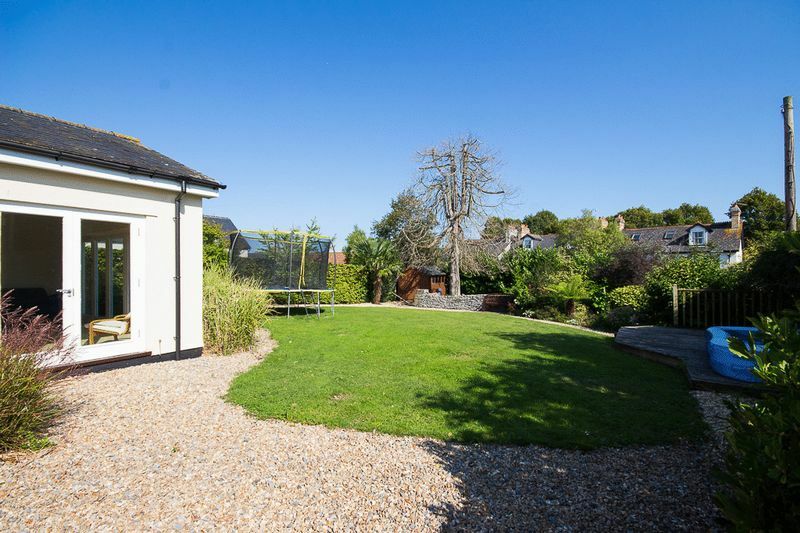 To the rear of the property is the beautifully maintained, level rear garden which is a real sun trap. 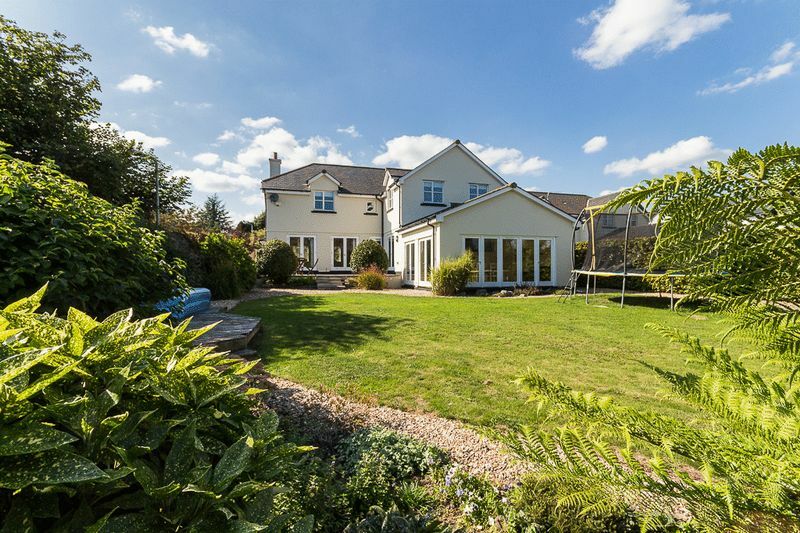 There is a variety of established shrubs, shaped bushes, trees and plants landscaped in an attractive parkland style. 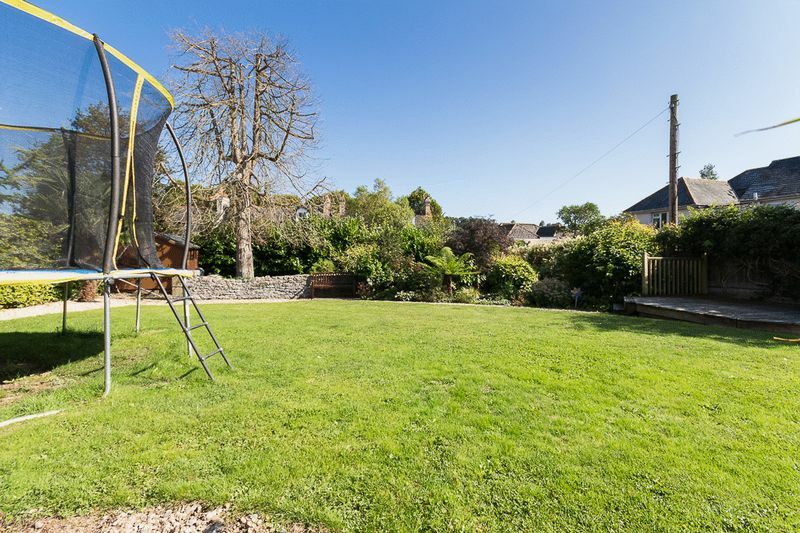 A raised patio can be accessed from both the living room and the kitchen providing the perfect spot for alfresco dining with the family, benefiting from views over the lawn. 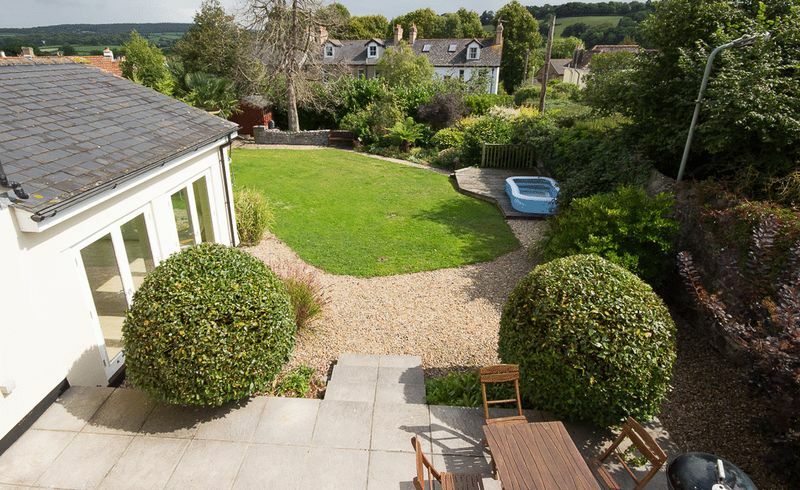 There is a further decked area accessible from the stone chipping path which borders the lawn around the garden and a garden shed in situ to the bottom of the garden. A characterful stone wall splits the formal garden and informal vegetable patch beyond. Heading southbound on the A38 from Exeter, exit the A38 sign posted Chudleigh and follow the B3344 toward the town. Proceed through the town, passing the war memorial on your right hand side and immediately before the Church turn left into the private driveway with railings beside. Michaelmas House can be found down the right hand side of the beautiful Swanston House (painted in yellow) The shared drive serves Michaelmas House and just a handful of other grand homes.